When I was a young girl I saw a vision of the Blessed Mother! When I saw her I immediately knelt down and began praying the rosary. Mary told me that she was the Immaculate Conception, which means her soul was always perfectly clean and sparkly without sin. Mary also blessed the water where she appeared. Now there is a beautiful church in Lourdes. People come from all over the world to pray. 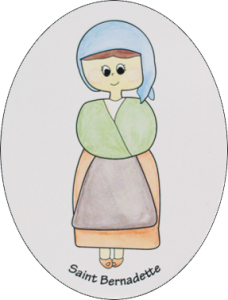 You can help your children celebrate this feast with our new Saint Bernadette magnet or Saint Stickers! 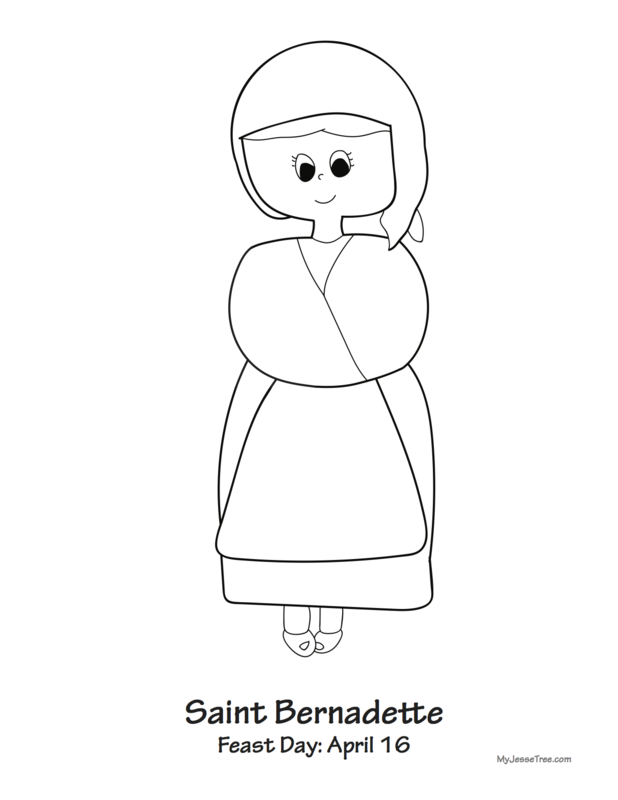 We have a whole blog post about Saint Bernadette too!